Create customised absence types that are relevant to your company. 1. 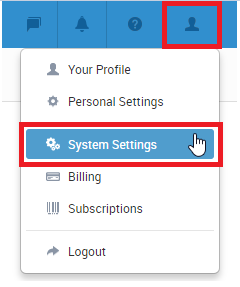 To start with, go to the System settings page - hover over the torso icon on the top right-hand corner, choose System Settings. 2. Next, find the Absence Settings, then Absence Types section and click on 'Add Type'. 3. 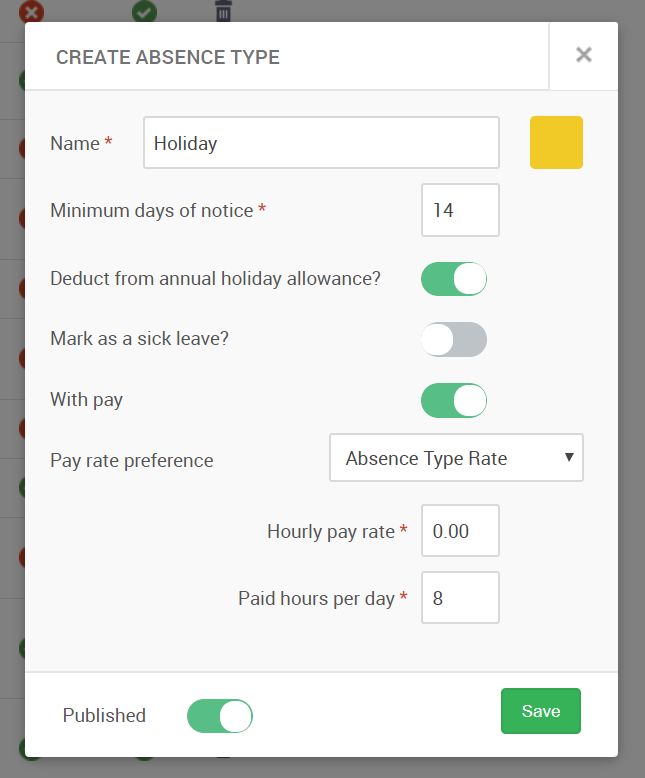 In the window that opens you can name and customise the absence: set whether it will be deducted from the Annual Holiday Allowance, whether it will be a Sick leave, if it will be Paid and more. Once you have filled in the information click Save. 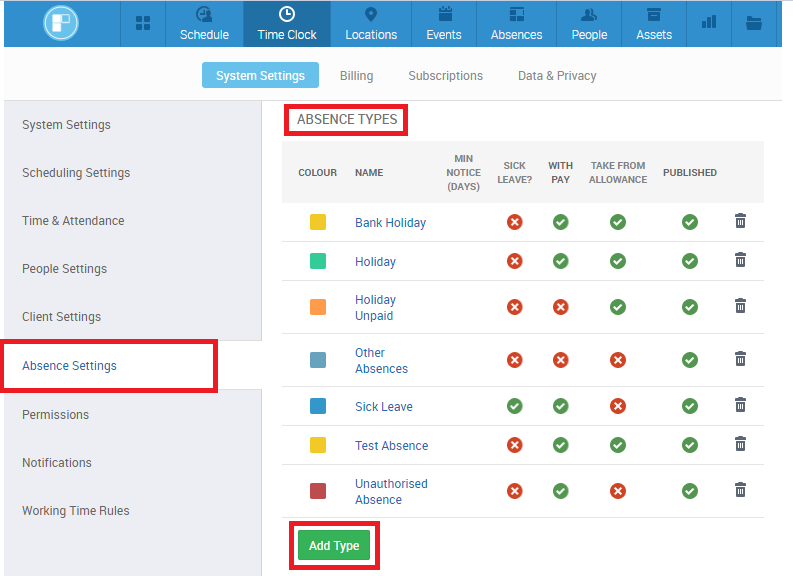 Now that you have entered absences into the system you and the staff can select them when creating new absences.